My latest tutorial for Make. 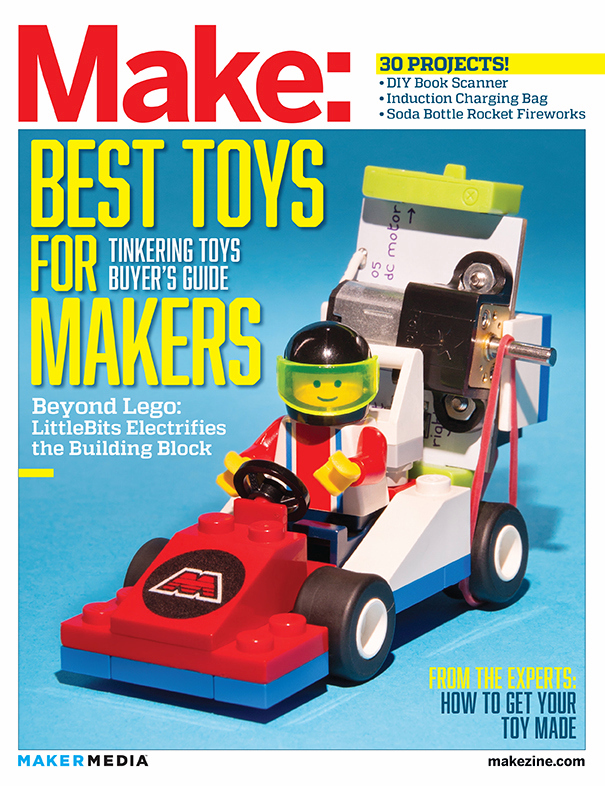 My How to Print a One-Page Book by Hand Project is featured in the new issue of Make Magazine! Swiffer Floor Mops famously employ the “razor and blades” business model, in which the mops are sold at a low price in order to increase sales of the disposable mop covers required for the product’s continued use. Slayer is a heavy metal band whose fans have infamously carved the band’s name into their skin using razor blades. This reusable Swiffer Floor Mop simultaneously alleviates the Swiffer user’s need to engage with “razor and blades” marketing, as well as the Slayer fan’s need to exhibit their devotion to the band through the use of razor blades. Of course, should a Slayer fan choose to shed blood in the name of their fandom anyway, this cover will effectively slay the resulting mess as well. Thanks to PLY for inviting me to participate in their whimsical #PLYin90seconds exhibition! Here’s my contribution, which depicts the fleeting life of the very first viral video born on the internets, told through pizza toppings. 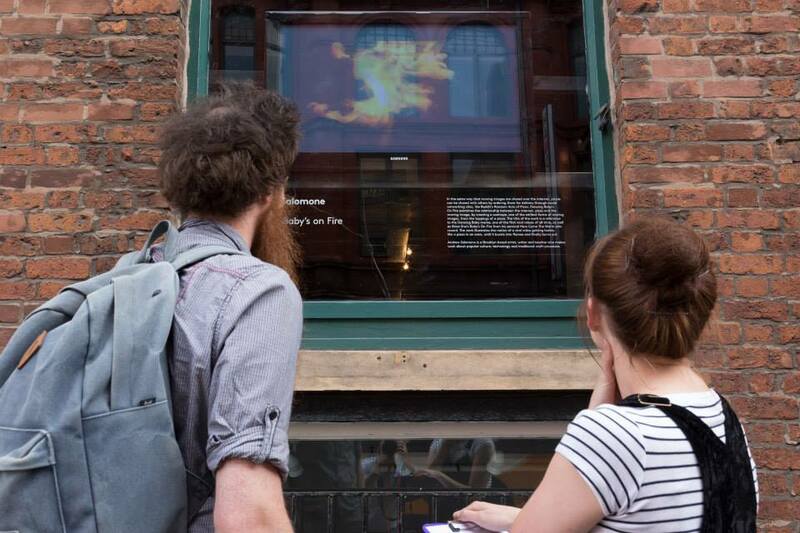 If you’re in Manchester, UK this Thursday night, be sure to stop by the opening of a new space called PLY, where I’ll be showing some new pizza-themed video work in a group exhibition called #PLYin90seconds. 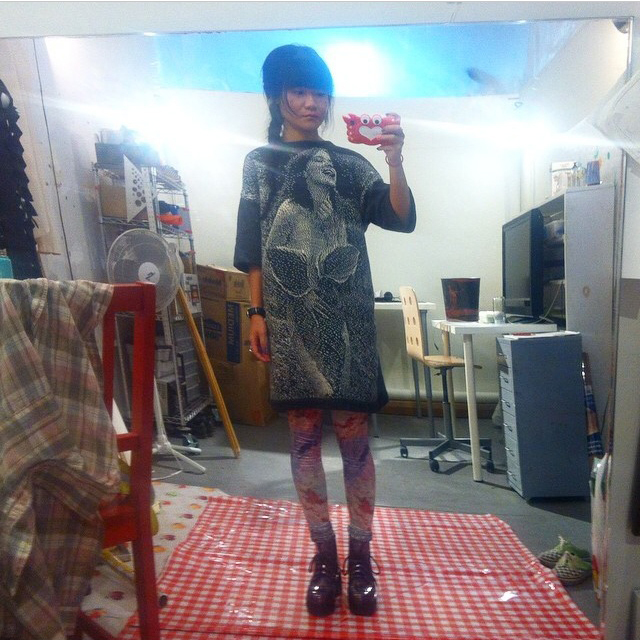 So pleased to see this picture of Irish performance artist Áine Phillips wearing the sweater I made for her. 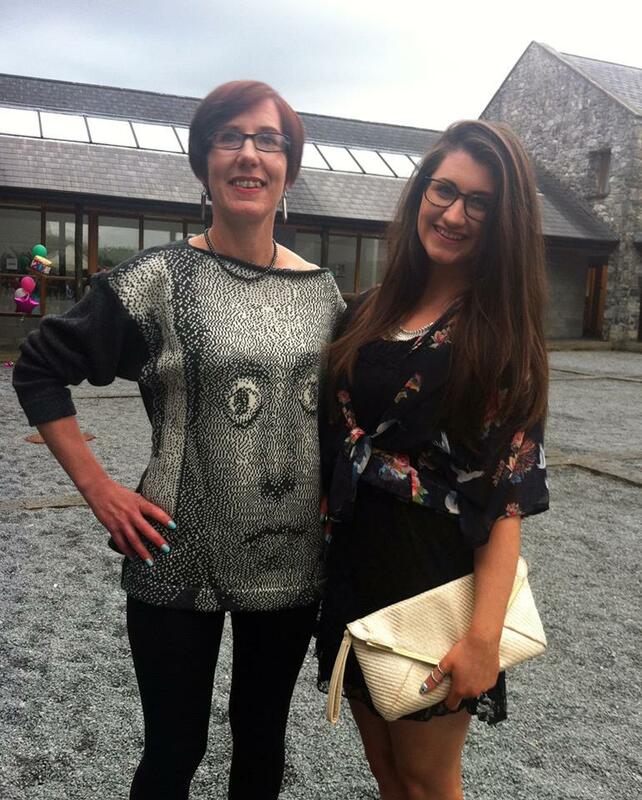 The sweater features an image of her during a previous performance called Eyeless, and she wore it to the opening of an exhibition she curated at the Burren College of Art. 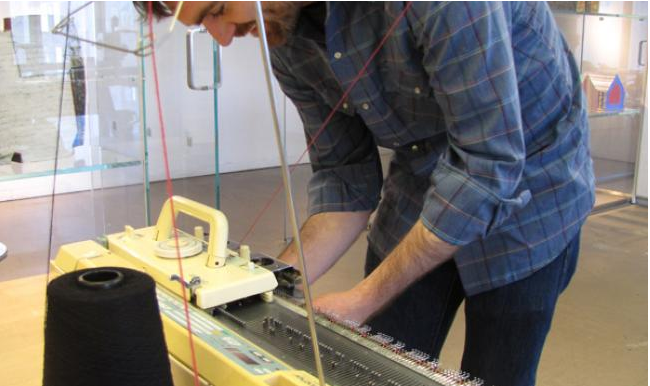 I’ll be giving some hacked knitting machine demonstrations in the Artist Studios at the Museum of Arts and Design this Monday, June 30th, for the opening of what looks like an amazing exhibition called NYC Makers: The MAD Biennial. Hope to see you there. In the early 90s, visual artist and composer Christian Marclay took LP record covers and stitched them together to create hybrid images in an ingenious series called “Body Mix.” These visual compositions mirrored the process of mixing together the music on the records to create the kind of sound collages that Marclay is known for. 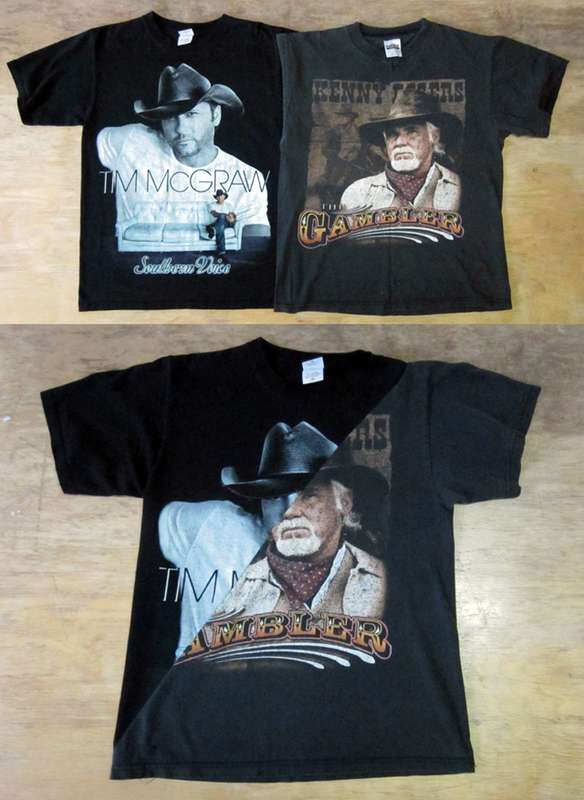 Despite the decline of LP record production, band T-shirts are as prevalent as ever, often featuring the same imagery as record covers, and considering Marclay’s decision to sew his original compositions together, it seemed appropriate to make a T-shirt mashup project based on his work. This tutorial will show you how to make a “Body Mix” composition that you can wear on your own body.